Georgia is a country of amazing diversity of nature and incredible landscapes. Here in one day you can visit the snow-capped mountains and the warm coast of the Black Sea. Here fertile valleys, cut by fast rivers, are surrounded by rocky outcroppings of majestic Caucasian mountains. 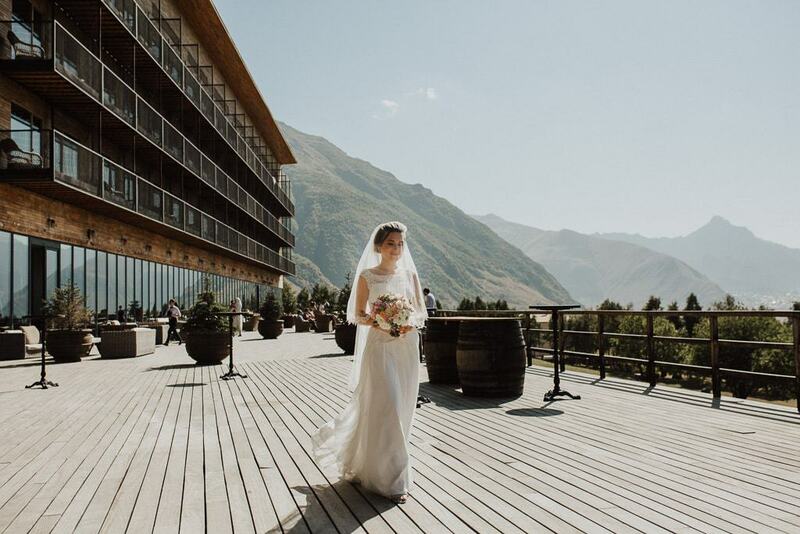 The natural beauty and diversity, the unprecedented hospitality of the Georgian people and the achievements of Georgia in recent years in various spheres of the economy make this small country an ideal place for all who want to conduct a wedding abroad. 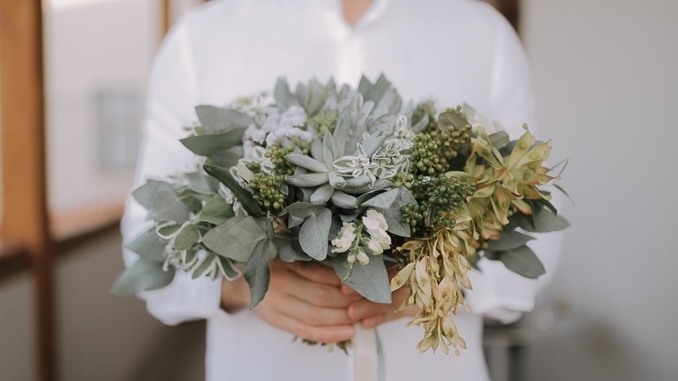 You can choose in our directions wherever you would like to spend your special day. It can be colorful Tbilisi or ancient Mtskheta, mountainous regions or picturesque valleys of Kakheti. We have offers for every taste! Narrow streets of the Old City with overhanging balconies, romantic cafes and restaurants, hidden in cozy courtyards and gardens, river bends and even waterfalls make this city incredibly romantic. A rich and fertile land gives life to most of Georgian wine and feasts in Kakheti are a special kind of art. The valleys of mountain rivers are wrapped in green velvet of alpine meadows, where flocks of sheep graze. 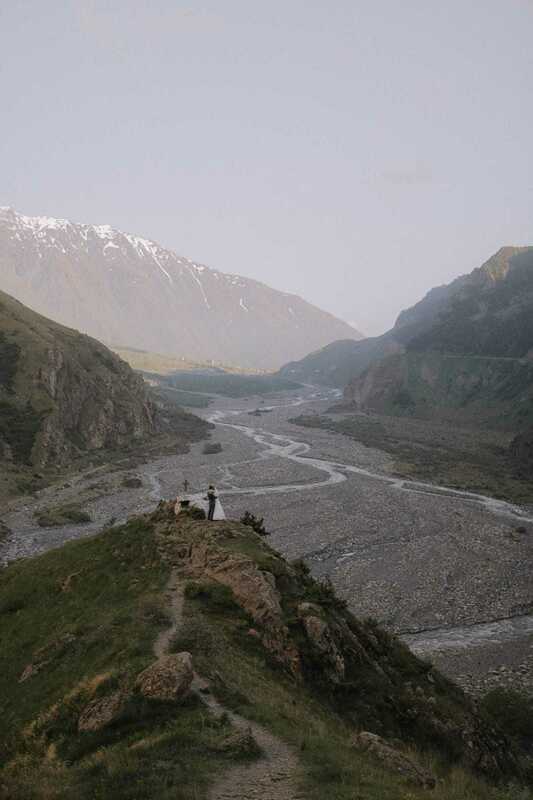 The area of the Gudauri ski resort and the mountainous region of Kazbegi offer breathtaking scenery. You will only need your two passports and a few hours! With this main component of any wedding everything is fine in Georgia! 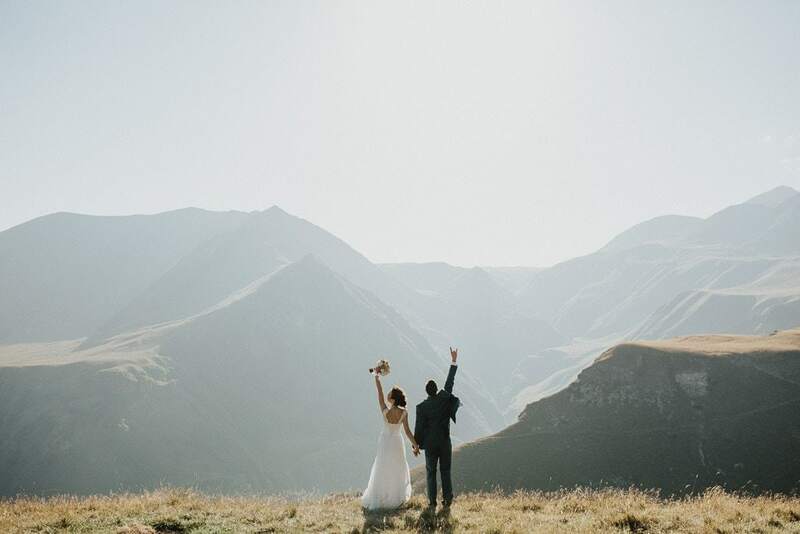 Magnificent natural landscapes will be the best setting for your wedding! Georgia still pleases its guests with attractive prices!